I'm a creative problem solver with over 20 years of experience providing effective software solutions for many clients and customers. I have had opportunities to personally design and implement video games in the mobile space utilizing computer vision, serious games for assisting patient assessment in medical spaces, language tools researching gender usage, hybrid mobile medical apps for patient monitoring, websites with integrated business logic, and many others. I'm adept at developing innovative applications which push the boundaries of present technology. 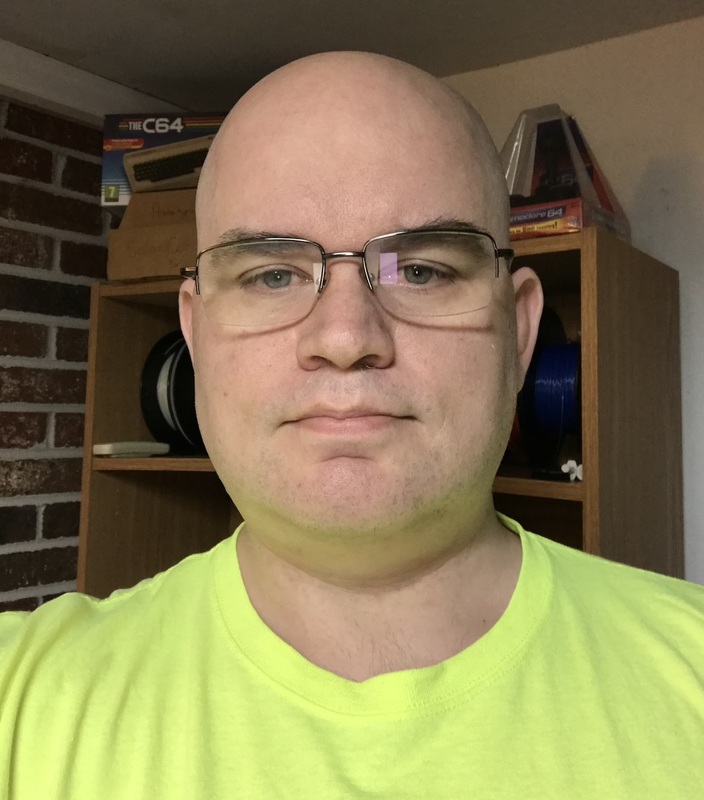 Working as a telecommuting developer and consultant since 2008 on many projects, I am an efficient self starter who can deliver software solutions at all stages of system development including analysis, design, development, implementation and support. Our small team works on our own games occasionally, but honestly most time is spent doing contract development. I reverse-engineered and modifying existing 6502 machine language binaries in order to adapt 30+ year-old games for inclusion in the firmware for the relaunched Commodore 64 sold worldwide through major retailers such as Walmart. I also created a new 6502 program for displaying production credits with classic graphical effects. Developed in Objective-C, this iPad app is intended to help midwives in Sweden interact with Arabic-speaking women to improve health care, designed in conjunction with university researchers. I was responsible for the scaffolding/structure of the project, the UX look and feel, and implementing UI controls the team could use in other sections of the app. This app is an iOS and Android re-creation of the famous Etch-A-Sketch toy for the license holder. I was responsible for the computer vision algorithms used to convert a photo to a sketch. Developed in Unity3D/C# with OpenCV. We designed and implemented this iPhone game to help rehabilitate stroke victims in Unity3D/C#. Our team worked iteratively with the client’s medical research findings, and also with Qwantech to integrate the app with their backend API for research data collection. This project was a full-stack implementation of the production version of a previously developed prototype for a bipolar disorder mood management web-mobile hybrid app. Developed in HTML/JS/JQuery with Java backend on AWS. This was a solo development project, working with their team of researchers and statisticians. social friendship bracelet making app for the iPad (Unity3D/C#). I personally worked on the bracelet knot modeling, game statistics tracking, user account creation and off-line syncing code, as wells as a computer vision thread measuring system. Also personally implemented a backend API for it on AWS, and a small CRM in PHP where employees could create new bracelet patterns for the app, and blacklist profanities. This ad-supported driving game sequel included In-App Purchases to unlock extra features as well as remove ads. I personally worked on the IAP features as well as updating graphics. Developed in Objective-C, this children’s iPad app was used to collect data (through opt-in voice recording and tap logs) used in language research. I was responsible for the audio and tap logging and for the scaffolding, structure and transitions used in the project allowing other team members to implement new sections faster. Designed and programmed this free ad-supported driving game, which included In-App Purchase to remove ads. Artist, composer and designer on this iOS platform game, which was a finalist in the 2013 Canadian Video Game Awards, later ported to Android. Brought onto team for 11th hour bug fixing of existing C++ code base to allow game to ship crash-free by deadline. Designed and implemented three 3D cognitive test prototypes for an SBIR phase 1 contract in Unity3D/C#. Designed and implemented a research support backend where test data was collected and analyzed in PHP. Designer, artist, composer and programmer (Java) on this acclaimed indie iOS game, covered by IGN and IndieGames.com, among other press. Worked closely with client to design and program promotional 2D game with very limited budget. Released through iTunes for iPhone, programmed in Java. Lead engine developer, artist and composer, using Java, on iPhone game released through iTunes. User interface, tool and gameplay programming using Objective-C on very successful iPad game released through iTunes. Designed and developed a source-to-source transpiler for Java to Objective-C for use in our games. As a co-founder of mobile game studio P1XL Games, this was our first project. I was lead engine developer, artist and composer on this successful iPhone game, released through iTunes, using Objective-C. It was later ported to OSX, Android, and AppleTV. I designed and implemented a DSL with stack based VM for game scripting and the 2D mobile-optimized graphics engine in OpenGLES. Performed migration work on their PHP/Joomla website migrating between versions of Joomla and a plugin called CiviCRM, requiring a lot of SQL work. Implemented two prototypes for an SBIR phase 1 contract regarding a new tuberculosis test. SITE was a Triturus ELISA instrument simulator with collaborative features implemented in PHP. DAPS was written in Java as a framework for performing research trial data analysis on instrument .CSV files. Specified and rolled out a small on-site data center including rack/server installation, system configuration, router/bridge configuration and firewall/VPN setup. (Windows Server / RHEL). I was also responsible for general ongoing systems administration. Lead developer and project coordinator of this website with web-based inventory backend in PHP/MySQL. Designed and maintained several websites (HTML/PHP) for the company's brands. This was a startup. I started in a solo developer role which grew to manage a small team. Personally responsible for the design and development of several intranet websites as well the main web presence of this small private college. No flaming logos, unfortunately. Designed, implemented and administered a local dial-up ISP service for the local community; Slackware Linux-based with PortMaster 3 bank of modems and an outgoing T1 line. This is where I gained a lot of my unix shell experience. Developed Mac and PC science educational software prototypes for SBIR phase 1 grant using HyperCard (Mac) and in Asymetrix's ToolBook (PC). Designed and programmed this educational software for learning the night sky constellations at different times of the year in VisualBasic.